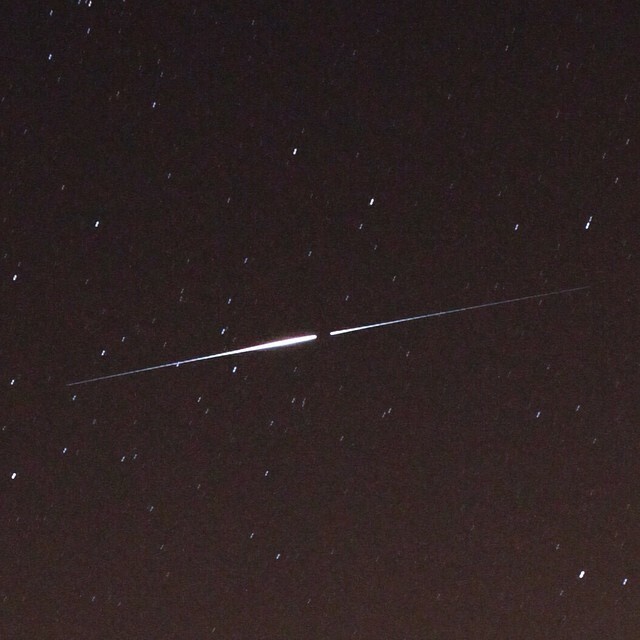 I used Heavens Above to predict a -7.6 iridium flare about 3 days in advance. 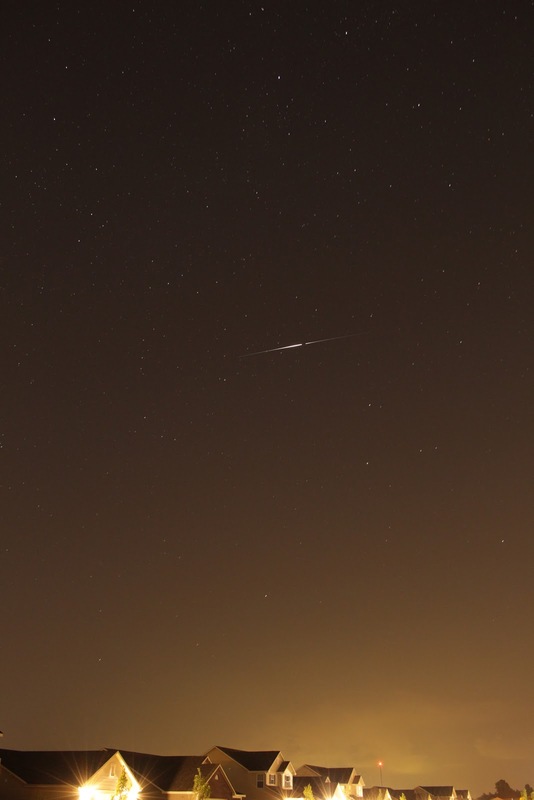 The flare was set for 11:05pm to the NE at 37° above the horizon. The NE is my darkest sky because Indianapolis lies to the SW of my location. I saw several satellites in the sky before the flare, and a few planes but not enough to ruin my shot. I started my camera on back to back shots at f/5.6, 18mm, 15 sec, 1600 ISO. I ended up with the typical yellow light dome over the horizon, but when I ran the photos through Snapseed on my phone, the "automatic" filter did a super quick and actually very decent job highlighting the stars against a natural looking sky. I guess that's why they call it SNAPseed, it's a snap! It blows my mind that it's possible to calculate that the right antenna of a satellite 1192 km away will catch the sun just right to shine a beam of light onto Noblesville, and to predict it to the exact second.